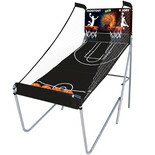 This Basketball Game is suitable for all ages and you can play against the clock or friends, along with the electronic scorer with buzzers and sounds effects to keep an accurate score. 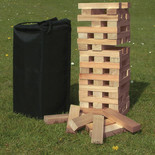 This Giant Dominoes game is ideal for indoor or outdoor use with the 28 large 13 x 6.5 x 1.5cm pieces you can get the whole family involved. 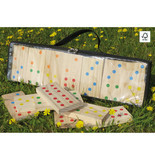 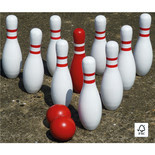 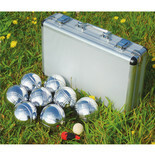 This Skittles Set is ideal for getting the whole family involved, featuring 2 balls and 10 skittle, complete in a canvas zipped carry bag. 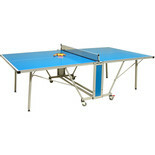 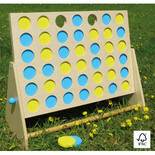 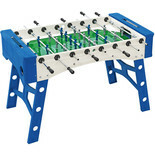 This Giant 4-In-A-Row Game is a popular game with the whole family and can be used bot indoor and outdoor, with the beautifully crafted yellow and blue counters you can clearly see the winner.